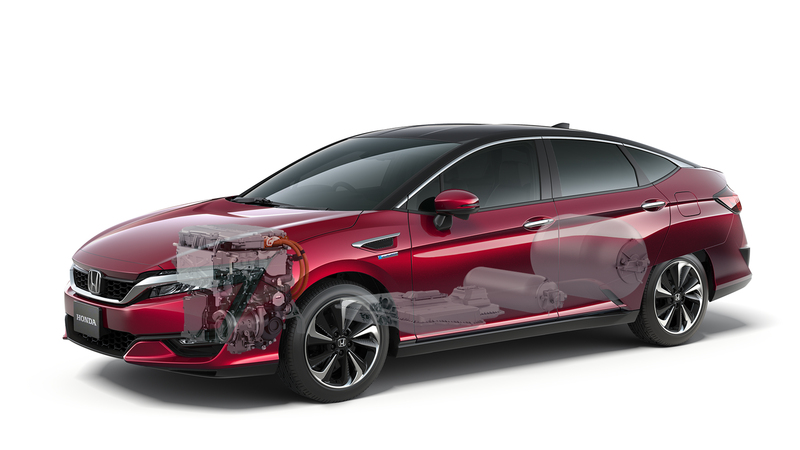 Honda late last year advised auto body shops to have a qualified dealership inspect any of its three alternative-fuel Clarity powertrains prior to a collision repair, warning of risks from the high-voltage systems. So you’ll likely see one or two in your shop, and you’ll want to keep yourself and the car safe when you do. All three of these Clarity systems’ lithium-ion batteries have the potential to injure somebody or start a fire, Honda warned in its October 2017 position statement. 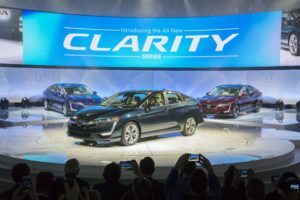 For this reason, shops should have an “authorized Clarity Electric, Fuel Cell, or Plug-In Hybrid dealer” check out the battery any time an airbag has blown “or the vehicle has sustained structural damage,” Honda wrote. Battery damage analysis isn’t something that just anybody can eyeball, according to Honda. “Unlike many other repair facilities, these authorized dealers have received the specialized training and equipment necessary to inspect and assess the post-crash condition of the high-voltage lithium ion batteries installed in these vehicles,” the OEM wrote. Start wrenching away on the vehicle without having a qualified party inspect the battery, and you risk all sorts of nasty consequences, including death and setting your shop on fire, according to Honda. “American Honda recommends the inspection and testing of the battery because if a damaged battery is not repaired, there is a heightened risk of personal injury or death, as well as significant property damage, due to exposure to battery electrolytes and related fumes or an uncontrolled thermal event in the battery and resulting fire,” the OEM wrote. It seems to us that shops, insurers and Honda Clarity owners will want to factor the extra time, sublet expense and logistics (towing) needed to obtain that qualified assessment when estimating the length of repair/rental and the cost of the repair. To some degree, the decision to take it to a dealership or tow the car might be out of a shop, insurer or customer’s hands. The Clarity Electric and Clarity Fuel Cell both can sense a crash and trigger an “emergency shutdown” if the AI deems it appropriate, and Honda’s position statement indicates that dealer intervention is required to deactivate the shutdown on at least one of these two powertrains. 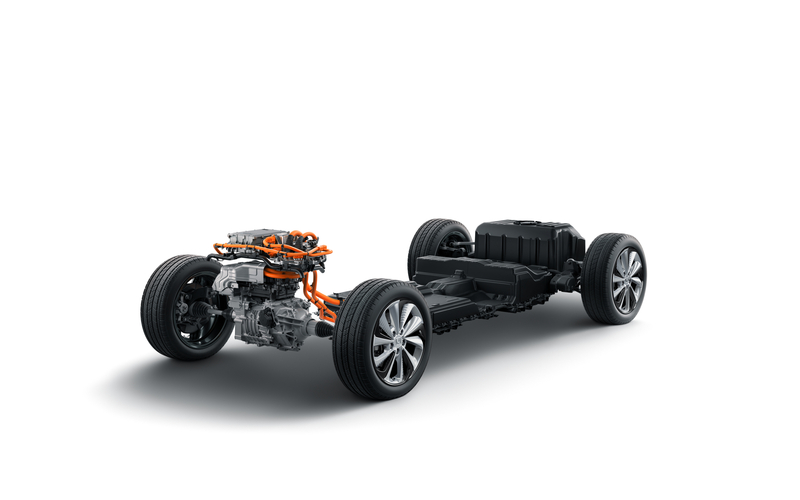 The fuel-cell Clarity also has emergency shutdown features for both its high-voltage and hydrogen fuel-cell technology, “limiting the ability of the vehicle to move under its own power,” Honda wrote. A Toyota collision repair expert has discussed the need for qualified dealerships to inspect the hydrogen storage system on its fuel-cell Mirai. Honda’s position statement only mentions lithium-ion battery checks; an email to a Honda collision repair leader Tuesday asking about a similar need for dealership fuel cell inspections had not yet been returned. Shops might see other automakers demanding dealership high-voltage system inspections in position statements or OEM repair procedures, given recent promises by manufacturers like GM, Volvo and Jaguar Land Rover to produce more electrified cars or outright cease vehicles which run solely on gasoline. In one of the most recent announcements, Toyota last month said it will offer electrified variants — hybrids, plug-in hybrids, completely battery-electric, or fuel-cell electric — of each of its vehicles by 2025 in additional to its more traditional gas-only options. Honda has said it wants two-thirds of its vehicles to have some electrification by 2030.